July was a very troublesome month for me emotionally and so, ironically, in a month where I had very little of my dog sitting left, I produced (slightly) less content than I had in the previous few months. Most of this can be attributed to that lovely phenomenon known as depression. I had some personal circumstances come up within the span of a few weeks of each other that all greatly affected me and harmed my mental health. On one of these days I was not even able to get out of bed for hours and even then I only was barely able to get a post out that was a little over 1,000 words. That said, not everything was awful. These events gave me a lot of support from friends and a lot of kind messages and warmth from people whom I very much appreciate. And I can say that despite all of my emotional turmoil from last month I still managed to keep a decent pace of posts and write every so often. On the other hand, I know I’m the one saying that productivity is overrated and I certainly don’t believe mental health should be sacrificed for writing. So there were definitely days where I either felt too lazy or I just didn’t have the spoons to focus on this site. I don’t feel bad about that, but it is frustrating. It makes me feel like I have less control over my life than I would like to. Still, there was a lot to cover this month and I’m proud of what came out of it, even if I know I wasn’t always in the best place (mentally). In particular I’m very happy with how my posts on Democratic Despots, Emotional Labor and how my movie review of Clerks came out. It was really nice to rewatch Clerks in general and I’m glad I had the excuse to. Without further ado (besides this and this and what’s next and this), let’s get to the statistics! “I” (more on this in a sec) posted 10 times this month, 1 less than the month before. I say “I” posted because my friend Winter contributed a post and so I really only wrote 9 pieces for July. Credit where credit is due! 9 of which were original posts, with one by my friend Winter. I wrote over 10,000 words, which, while less than last month by a notable margin, is amazing given how off I was throughout the month. I’m honestly super proud of myself that I still managed to pull this off. Hell yeah. That estimate of 10,000+ comes from all of my original articles word counts rounded down and it doesn’t include any guest contributions or my Patreon article. Where Democratic Despots Rule was my most popular article at 94 views! With The RICH Economy by Robert Anton Wilson getting to 74 views via a significant boost from none other than Scott Santens! Thanks Scott! And lastly, The Panopticon in the Workplace came in third at 70 views. Not completely surprising given I found it had been linked in a forum discussion about jobs. Pretty cool! For July, Abolish Work was viewed more than 2,300 times and had over 1,000 unique visitors! I didn’t really up my own advertising (for reasons you can likely guess) but I heavily suspect Scott had a lot to do with this increase. I averaged 75 views a day in July, which is pretty good. Ideally I’d have around 100 but I’m pleased with anything above 50, honestly. I was referred by Reddit the most at 198, Facebook at 119 and Twitter at 96. I’m going to stop counting search engines since they’re always going to dominate and it’s a little boring to keep reiterating the obvious at this point. The US easily took the most views at over 1,300 with the UK comfortably in second at nearly 300. Australia and Canada continue to fight over who is taking third but this month it’s Australia with 93 (Canada has 87). The most interesting countries I noticed between the 10-20 range of views was: South Korea (16), Cyprus (12), Isle of Man (10)…Well then. A tough month for sure, but I think I came through in some pretty stunning style. I’ll also mention that Anarchist News put up an audio of Apio Ludd’s Against The Logic of Work and references this site for the text, thanks! This month I plan on continuing the regimen of writing Autopilot (and plan on finishing it! ), writing a movie review, doing some reviews of Youtube videos (usually scripts for Big Think or TED Talk) and writing my own original content. Maybe if I’m lucky enough we’ll have some more special guest contributors! Also worth noting is that I wrote elsewhere last month which includes this post on polyamory and friendship. Turned out I was wrong about why that friend decided to disassociate from me and that was actually part of the mess I went through last month. But things have stabilized and I’m trying my best to get back on the wagon. 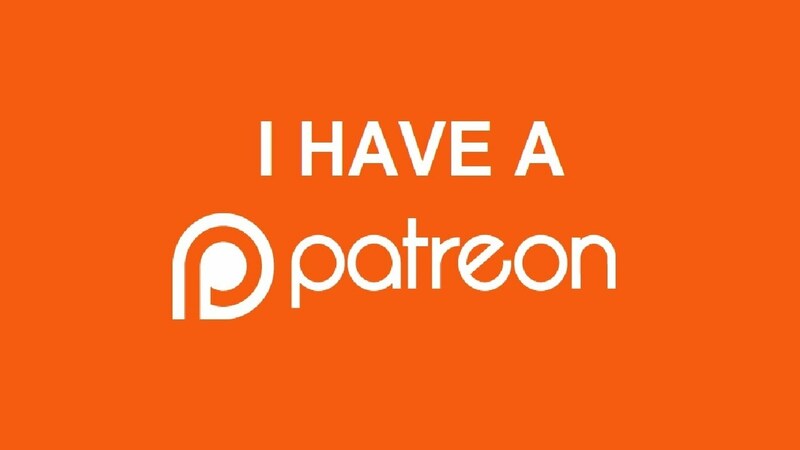 And thanks to my Patrons: Eben, Jamie, Abel, Leslee and David!